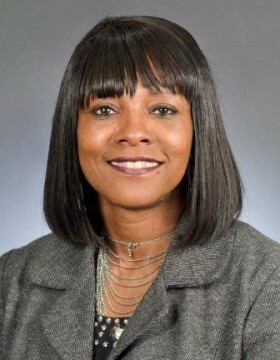 In 2000, Rena Moran and her children were homeless, and in 2010, she was elected to the Minnesota House of Representatives. The transition from homelessness to elected office is a testament to her leadership, strength, commitment to community, and belief that ordinary people can make a real difference. Rep. Moran believes communities can greatly help their residents by supporting programs such as Assets for Independence (AFI) that stabilize families’ lives and develop a sense of connection to the community. She also knows the power that individuals and communities have when they recognize how policy affects them and become involved in the policy development process. Looking at the path that led Rep. Moran to where she is today, one sees that she is proof of the benefits of such programs, and of the effects that one person can create when they engage themselves with the policies that affect their lives and communities. Could it be possible for Bukola Oriola to come up with $40 a month to stash in a savings account? 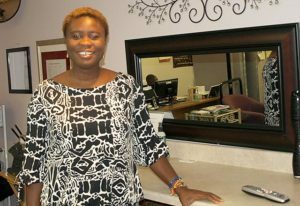 A sad series of events had led Oriola from her homeland, Nigeria, in 2005 to a life of near isolation among strangers in the northern Twin Cities metro area. Her unsteady income from braiding hair already was stretched to the max to support her and her pre-school son, Samuel Jacobs. So Oriola mustered the self-discipline to be her own demanding creditor. The $40 would be a bill she had no choice but to pay every month. Never mind the other pulls on her pocketbook. Riding on the savings “bill” was her best hope for the future. It would be paid by pinching here and there on all of the other things she and the boy needed. 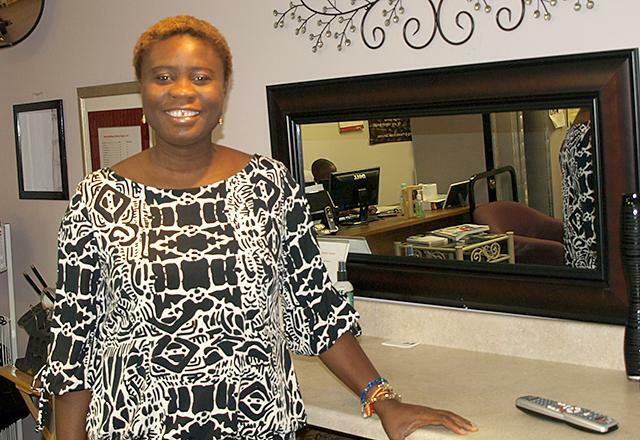 “The program was always on my mind, and I knew what I needed it for,” Oriola said. Oriola had joined thousands of other Minnesotans who have come to see savings accounts as salvation from poverty, from the traps of predatory lenders and from low-skilled and low-paying jobs. Across the state, these dedicated new savers are doing what many had previously considered to be impossible: slowly building assets that can help them achieve goals for a better life. Beth and Charles immigrated to the United States more than 10 years ago from Kenya and both had the dream of owning their own home. They enrolled in FAIM in hopes of achieving that dream. They have two young sons and live in St. Cloud, MN. Beth has her Master’s Degree in both Community Counseling and Rehabilitation Counseling and currently works as an Early Childhood Counselor with Greater Minnesota Family Services. Charles works part-time doing maintenance at St. Cloud State University and is working on his degree in business on campus. He also is a stay at home dad, taking care of their son with special needs. Beth is heavily involved in the community; she is the founding member of the African Women’s Alliance, member of the Greater St. Cloud Area Thrive Access Project and just completed the Chamber of Commerce Leadership Program. Charles was a banker in Kenya but found the American banking system hard to navigate and at the time of enrollment did not have a credit score. After taking the required 12 hour Financial Literacy Class, Charles learned the importance of credit and worked diligently on creating a score; at the end of the program Charles had a credit score of 752. FAIM is a two year program but with approval from the State Coordinator Beth and Charles were given an additional year to work towards purchasing their own home. Despite some bumps in the road and some disappointments on May 20, 2015 they closed on their home in a safe and secure neighborhood in St. Cloud.